New Year's Pronouncement from the Jasic Workers Support Group --Unite for Greater Victory! 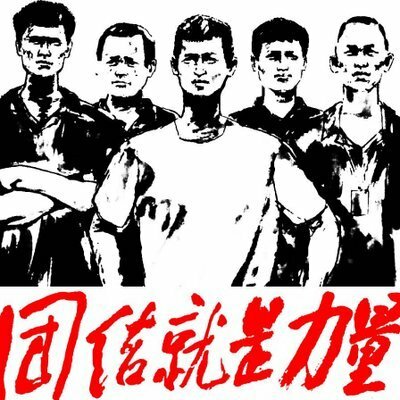 As the 2019 Spring Festival approaches, we can not forget the dozens of comrades still in prison, such as the Jasic workers have no news yet, Fu Changguo, who was not allowed to see his mother for the last time, and the workers and peasants’ children Zhan Zhenzhen was revoked and dropped out of Peking University; we cannot forget that the Spring Festival Gala rendered this flourishing country, and the workers in the workshop endured exploitation. We must not forget the 2018 that marked the unity of the oppressed. In this year, the masses’ resistance to the exploiters is also a wave high. The workers, students and the masses united in their struggle because they could not bear the oppression. Truck drivers and crane drivers have gone on strike. We see that the strength of unity is not confined to one region only. The cross-regional industrial workers’ union reflects the workers’ deep consciousness of consciously fighting for their rights and interests and explain the importance of solidarity. Because of the increasing commonality of contradictions, solidarity has become more widespread. The campaign against sexual assault in more than 70 colleges and universities, as well as veterans from Pingdu defending their rights, is no exception.So, the rights of teachers, the rights of poison vaccines, the rights of financial disasters, the rights of taxi drivers and the rights of pneumoconiosis workers that have broken out all over the country will also be united across provinces and cities. This is the historical trend of the development of the struggle. This year, the struggle of Jasic workers and the Support Groups has continued all the way. Between March and July last year, Jasic workers were arrested on July 27th after a violent crackdown by factory and police authority. In August, the Jasic Workers’ Support Group was formed to publicize the deeds of Jasic workers and to support the establishment of the labor union. On August 24, the group was violently evacuated in Huizhou. In September and October, college bureaucrats blocked the registration of left-wing student society, and the students in the society fought a battle to defend the societies and won a victory in stages. On November 9, Guangdong police arrested fellow workers and left-wing youths at Peking University and across the country. On December 26, representatives of the Support Group went to Shaoshan to commemorate the birthday of Chairman Mao. The student who attended the memorial was arrested and expelled from the university. From December 27 to January 21, the left-wing societies of Peking University, the Renmin University and the Beijing Language and Culture University were forcibly reorganized or cancelled. Students from the Marxism Society of Peking University held signs in protest and were violently evacuated and illegally detained. With the development of the fight, the great significance of the Jasic struggle has become more and more clear in front of us. First of all, the young workers emerging in the Jasic struggle were well aware of the situation of the working class - at the bottom of society and under pressure. They had known the true way out of the class - unity and resistance. They had a conscious political consciousness and demanded the political rights they deserve. They wanted their own labor unions, not the capitalist unions. They asked the government and the police to treat them at least equally, rather than favoring the boss. When they raised these legitimate legal rights but were suppressed by the police authority, they dared to confront the violent machine positively and showed a fearless struggle spirit. Secondly, the Jasic struggle is a great union of left-wing forces and a great union of social justice forces. New workers, left-wing students, old workers, veteran comrades, public welfare workers, labor activists, and all those who support workers’ rights not only verbally but also in action were united in this struggle. Among the typical characters were: construction workers Yu Yuncong, Mi Jiuping, Liu Penghua, solidarity workers Li Zhan, Lan Zhiwei; left-wing students Gu Jiayue, Zhan Zhenzhen; old comrades Wu Jingtang, Ning Ding; public welfare people He Pengchao, Wang Xiangyi; labor activists Fu Changguo, Yang Zhengjun, and so on. Such a large-scale alliance is the first time in recent decades. Moreover, the Jasic struggle produced a group such as the Jasic Workers’ Support Group, which is the concrete result of the left-wing unity. The Support Group adheres to the principle of “where is oppression, there is Support Group”. It is necessary not only to carry out the fight of the Jasic workers, but also to stand with all the oppressed and exploited people. The Support Group will solidarity with all the fight to against oppression and achieve the union of the oppressed masses. The initial intentions and appeals of the Jasic Workers’ Support Group are not complicated: as long as the comrades of the Jasic workers and the group members are not acquitted, as long as the struggle of the Jasic workers is still stigmatized by the evil forces, as long as the union by workers’ own has not yet been established, and the Support Group will not stop fighting. More importantly, as long as there are still oppressed masses, the Jasic Workers’ Support Group will not stop supporting and solidarity in their struggles. Because we know that the oppressed people throughout the world are one, and ultimately they must towards unity and fight together. Based on the history of 2018 and before, looking forward to the future of 2019 and beyond, we can imagine that the suppression of the rights of workers, students and the masses by the evil forces will intensify. This is the result of the development of basic social contradictions. It has also been proved by the history of 2018. The growing union between the working class and all oppressed classes is equally inevitable. We will not surrender and be lost in the dream created by vested interests, but will unite and strive for our common realistic rights and dignity. In the new year, the Jasic Workers’ Support Group will fight together with all the oppressed people to the end, and ready for the victory!